In December 2018, four Master of Architecture students were selected to travel to Hong Kong to attend Business of Design Week as special guests of the Hong Kong Design Centre. Every year since 2002, the Hong Kong Design Centre brings together the world’s leading design masters, business figures and creative thought leaders for its Business of Design Week (BoDW). The event serves as an important platform for business and innovation leaders to exchange ideas, network and explore new business opportunities. 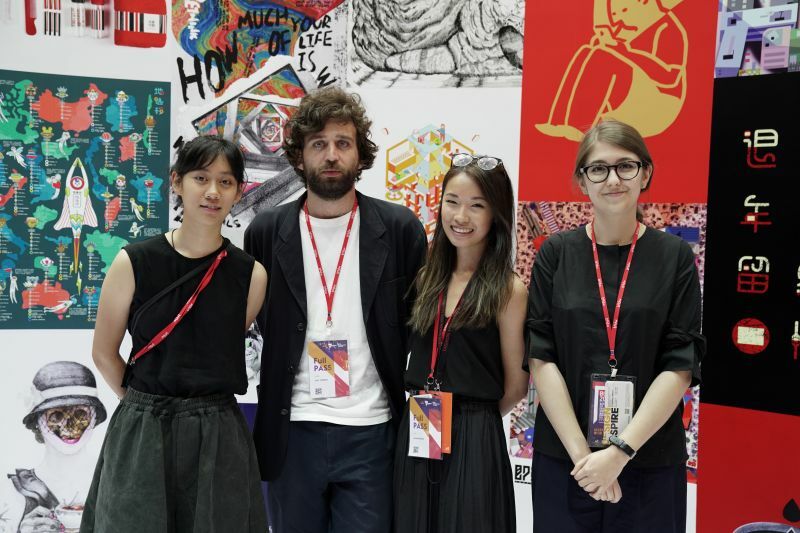 The most recent BoDW held in December 2018 saw four Melbourne School of Design Master of Architecture students travel to Hong Kong to experience the conference first-hand as sponsored guests of the Hong Kong Design Centre. They joined a selection of invited students from design institutions across Victoria to take part in a series of events and excursions which showcased the city and its landmarks. The students made the most of their jam-packed itinerary, attending talks, panel sessions, networking events, forums and tours. They also made a point to experience as much of Hong Kong as a city as they could, taking in the bustling streetscapes, trying local foods, visiting galleries and museums and exploring the city’s specialty coffee culture. The presentations from major technology firms Huawei, Samsung, and Alibaba at the Service Designevent were a definite highlight of the trip. While the presentations from these particular firms were not specifically relevant to traditional notions of architectural design, they covered key issues relating to the way technology is impacting the future of the design profession as a whole. “The experience has influenced my thoughts on the future of the design industry, particularly in terms of the impact of emerging technologies, which are already being adopted in other industries” explains Diana. Diana notes that although she learnt a lot through attending the conference presentations and forums, she particularly benefited from the one-on-one interactions with industry professionals, presenters, sponsors, and other conference attendees. A common theme in her interactions with attendees was the impact of blockchain and cryptocurrencies on the design sector, particularly in relation to design and construction. Overall, Diana says she will return to her studies this year with a renewed clarity and better sense of direction related to her personal aspirations in her career. Melbourne was the official partner city for Business o fDesign Week 2018.